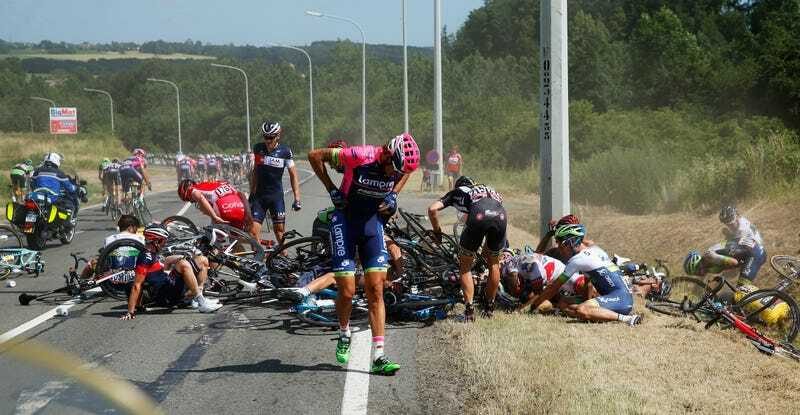 The third stage of the Tour de France was halted for about 15 minutes after a pile-up that brought down around 20 riders and caused four to withdraw. Bonnet was stretchered off with a neck brace. Dutchman Tom Dumoulin, Australian Simon Gerrans, and Russian Dmitry Kozontchuk also pulled out.